On 27 March 2019, Riyahd’s Criminal Court has temporarily released three Saudi women’s rights activists, namely Iman al-Nafjan, Aziza al-Yousef and Ruqayyaa al-Mhareb, after nearly one year of arbitrary detention. 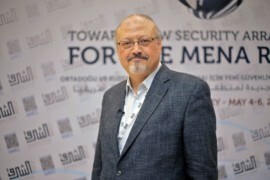 During the hearing, in which foreign reporters and diplomats have been barred from attending it, all the incriminated women have responded to the charges related to Saudi’s cyber-crime law and presented their defence by stating the tortures and further ill-treatments they have endured during the interrogations and the whole detention. Sources have told Reuters that the other women are set to be freed on Sunday. However, according to the Saudi Press Agency (SPA), the court will continue to investigate this case, pending a final decision. The Saudi public prosecutor had previously denied the allegations raised by the women. In this regard, Amnesty International had obtained several reports of torture and abuse over these women. Last February, the Detention Review Panel (DRP), a Panel of British MPs and lawyers, who have scrutinised the detention conditions of the Saudi women, has published a thorough report which alleged that they have been tortured in the most brutal ways, raped, held incommunicado without access to legal assistance or any contact with their family members for several months. The European Centre for Democracy and Human Rights (ECDHR) welcomes the release of Iman al-Nafjan, Aziza al-Yousef and Ruqayyaa al-Mhareb, hoping that the other women will gain freedom as soon as possible. We condemn the bogus charges against them, we call upon the Saudi government to unconditionally drop them. These women have been arrested for their human rights activism, namely for their campaign against the male guardianship system and the ban on women driving. A country which has pledged social progress and reforms cannot oppress human rights defenders and crack down on civil society.